In her first post for this blog, Nora Mzavanadze, PhD candidate of Central European University (CEU) and independent consultant for the United Nations Environment Programme (UNEP), examines key aspects of domestic energy deprivation in Lithuania. Her analysis of the current situation highlights the burden that district heating costs represent for Lithuanian urban households and the country’s energy dependency from the Russia Federation as differential elements. There are no in depth studies of energy poverty in Lithuania. This short essay is an attempt to give an introduction to those interested. External and internal factors must be discussed in order to have a complete view of the situation. After more than 20 years after Lithuanian Independence, the struggle for it still continues. Independence of a country should be understood in a broader context than just a declaration signed by the elected ones and recognized by their counterparts abroad. 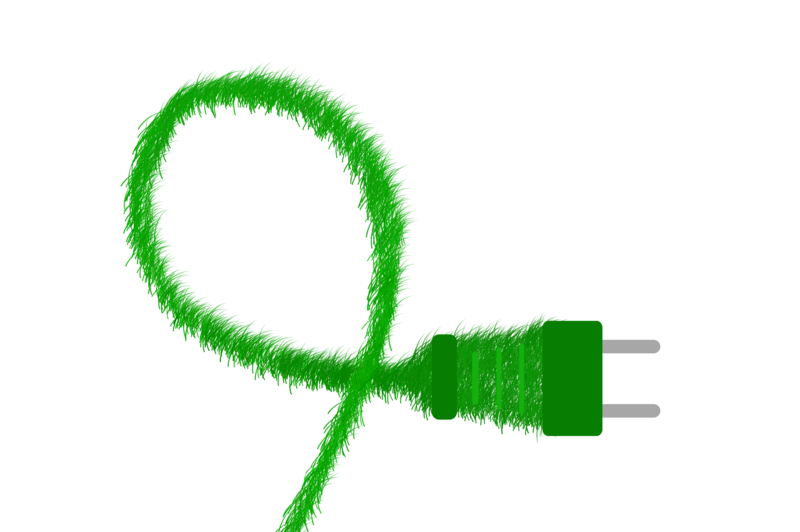 Energy is one of the most important aspects of independence in modern times. Lithuania, as well as other Baltic states, has been described in energy policy literature as an energy island. The Baltic States are still poorly connected with the European networks of oil and gas networks and electricity. They are still dependent on a large share of energy resources (in the case of natural gas 100%) on their former oppressor – the Russian Federation (it may not be correct to compare Soviet Union, Tsarist Russia with contemporary Russian Federation, nevertheless it remains to be the country inheriting the legacy of the previous two). It is no secret that the Russian Federation uses its vast energy resources to implement desired policy changes in the countries of near neighbourhood, countries that have previously been under the Soviet influence. Lithuania along with other Central Eastern European members of the EU has recently filed an antitrust complaint against Gazprom, which is accused of monopolistic actions in trying to make obstacles for decomposition of Gazprom’s monopoly in certain countries of Central Europe and the Baltics according to the European Union 3rd Energy Package, in charging an unfair and exorbitant prices and preventing the diversification of supply sources. The price Lithuania is charged for natural gas from Gazprom is 15% larger than the European average in 2012. To visualize these subtle politico-economic battles better, it is advisable to observe what is happening in Ukraine today. Lithuania dependency on Russian electricity has recently increased due to the closure of the Ignalina Nuclear Power Plant in 2009. Nowadays, 70% of electricity comes from Russia. Ignalina has been a symbol of independence for a long time till its closure, as well as Butinge oil terminal, which allows to import oil via the sea as the Russian oil pipeline to Mazeikiai got “irreversibly broken” after Lithuanians successfully resisted the sales of a refinery giant to the Russian companies loyal to Kremlin. Electricity bridges are being built to connect the Baltic states to Poland and Sweden. Estonia has a link of limited capacity to Finland, which is so far the only link with the world other than former Soviet Union. Lithuania, and other Baltic states largely remain to be locked in the energy infrastructure legacy of the former Soviet Union. One can only wonder, why these vital for independence of a country energy projects have taken so long to materialise. From this point of view, renovation of inefficient buildings in Lithuania sounds like a golden opportunity working on many levels – energy security and independence on a macro level as well as energy poverty on a micro level. 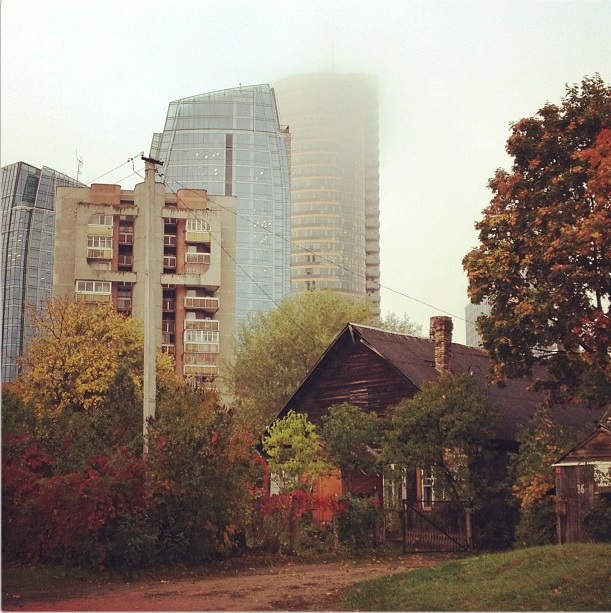 Three symbolic generations of buildings and architecture in Vilnius with different heating systems at their disposal. Photo by Valdas Jasaitis. Around 50% of building stock in Lithuania is connected to central heating network; in urban areas the share rises to 75% (Statistics Lithuania 2013). The governance of central heating services in each and every town differs. 44% of Lithuania’s central heating networks were in the hands of private capital (LSTA 2010). The decision whether to remain public or invite private investors is in the hands of every municipality. Some smaller municipalities have remained public and have transformed from gas-dependent systems to biofuel dependent systems. The larger ones have ended up in the hands of private investors and remain to be heavily natural gas dependent. Most of the apartment buildings in Lithuania (as well as other former Soviet states) have been built between 1960-1990. In fact, it was Khrushchev who started the Soviet housing campaign with a novel, fast and cheap way of construction technology to the burgeoning Soviet urban population. Initially cement block based multi-storey apartment buildings were supposed to provide temporary housing. What was designed to be temporary turned into permanent. The question raised today by many in post-Soviet or post-Socialist region is, whether it is worth to refurbish these buildings or to tear them down and build new ones with different building standards. Demographic and consumer preference trends also give additional doubts, if some old multi-storey buildings with shared amenities are to be kept. Although accommodation with various shared amenities exists in the Western Europe as well, and as of lately becomes more and more acceptable with the rise of the sharing economy, in Lithuania the value trend is so far in opposite direction in favour of the private. Shared amenities are a sign of poverty and lead to trouble and arguing. Although modernization of production and distribution stages of central heating networks has been speedy in the last two decades, the consumption sector has remained to be stagnant. Today most of the centrally heated apartment owners have no option of disconnecting from the network. It is actually against the law (this ban will be reconsidered in the parliament soon). Most of the households cannot even regulate the heat supplied to them independently. The amount of heat energy supplied can be controlled on the level of the whole multi-storey apartment block. Usually there is a lot of disagreement among the households over the temperature. In addition to that, apartments with outer walls may suffer from large heat losses, while the inner ones may be overheated. However the price paid per square meter will be the same to all households. Therefore, living in a centrally heated apartment in Lithuania actually means that one has no control over the quality of the services and over the price of the services. The pricing of heating services could be a separate and interesting story. In general, it depends on municipality where the building is located, on the fuel mix that is used by centrally heating networks, prices of the fuel mix and, last by not least, governance. Due to the exorbitant cost of heating services, many multi-apartment communities postpone the day of switching on the heating despite other neighbours protests, the cold and legally defined rules in the national legislation about the start of the heating season. As a rule central heating on a city level in Lithuania is switched on when the average daily temperature three days in a row is below 10 degrees Celsius. Separate multi-apartment building communities can shift the date a bit that based on a majority vote. Also they have the freedom to regulate the amount of heat supplied. That means, there is a tendency for financial reasons to under-heat and shorten the heating season. Families, especially those with small children, have to take additional efforts to keep themselves warm, usually with electric heaters. Surprisingly, travelling Lithuanians sometimes notice, that heating season in some southern countries in Europe starts earlier despite climatic differences. According to per capita GDP Lithuania is one of the poorest European Union members. Lithuanian national legislation foresees a monthly minimal salary for a full-time job. Since 2013 it has been increased from 850 LTL to 1000 LTL. Today after taxes this would amount to 825 LTL, which is around 236 Euros. Every 4-5th worker in Lithuania receives a minimum monthly salary. Although the price level is still lower compared to the European average, however price level convergence after joining the European Union is rapid. The prices of basic household items are approaching European levels. While the price of heating services fluctuates in every town and every month, sometimes they reach a proportionally large share of income. For instance, in November 2011 in Vilnius heating bills ranged from 300 to 600 LTL (86-171 Euros) per month, although it has not been a particularly cold month. Lithuanian legislation foresees heating cost subsidies for individuals and households depending on the income level. In some cases, people are encouraged to under-record their true income in order to qualify for heating and hot water supply subsidies. In early 2013, 7% of or 200 000 of Lithuanians received a subsidy from the state for heating and hot water supply services. Depending on the size of their households, the subsidy reaches even more people. According to the EU Survey on Income and Living Conditions, 34% of Lithuanians lived in inadequately heated houses, and 13% had debts for basic utilities in 2012. To conclude, Lithuania makes a strong case for an in depth study of energy poverty. Energy poverty in Lithuania is not estimated. It can be as high as in other Central and Eastern European countries or even larger due to more northern latitudes. The reasons to be studied behind it range from international relations, historic legacies, monopolistic markets, overall high poverty rate and some sociological and anthropological phenomena related to a systemic change in political and economic systems, changing societal trends.